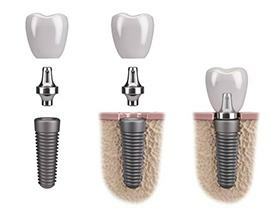 Dental implants are the best tooth replacement option that modern dentistry has to offer, but their success largely depends on the way they’re placed. Dr. Gass works alongside our team of doctors to thoroughly examines each patient’s needs and unique oral structures in order to determine how best to insert the implants. During surgery, he creates a small incision in the gums and then creates a space in the bone to make room for the implant. The procedure is minimally invasive and serves as one of the first steps to restoring a smile that has suffered mild to severe tooth loss. We always try to save teeth from extraction if at all possible. However, removing one or more teeth is sometimes necessary for a patient’s oral health and overall wellbeing. This is often the case if a tooth has suffered severe damage or decay, or if there is overcrowding in the mouth. Some extractions are relatively simple, wherein the area around the tooth is numbed and then the tooth is removed. Other extractions, such as when a tooth is impacted or there are other complicating factors, require the expert touch of an oral surgeon. During such procedures, we strive to make sure patients are as comfortable as possible. We provide after-care instructions and follow-up with a phone call or email post treatment. 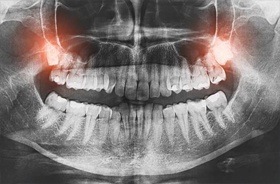 Wisdom teeth have the potential to cause many of oral health problems for patients. For example, they may push the other teeth out of alignment and increase the risk of oral infections. Removing such teeth is often a complex procedure because they may be buried or “impacted” beneath the gum line, or there may be very little room for the surgeon to maneuver in that part of the mouth. 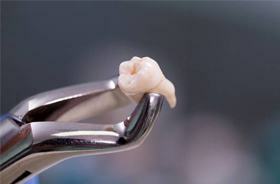 During wisdom tooth extraction, our team will numb the area and may even sedate the patient. Then, Dr. Gass will perform surgery in order to remove the wisdom teeth (or tooth). 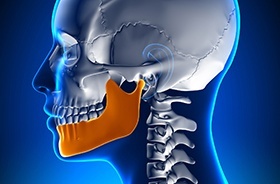 Trauma or developmental defects can lead to severe, jaw-related health concerns. For example, individuals may suffer from TMJ disorder as well as eating, speaking, and breathing issues. Jaw problems may also lead to excess wear and tear on the teeth. In some cases, surgery is necessary to correct such issues. Dr. Gass, a Diplomate of the American Board of Oral and Maxillofacial surgery, is able to perform procedures that enhance a patient’s jaw function and perhaps even improve their appearance. Are you suffering from dental issues that require the attention of an oral surgeon in Lebanon? Contact Santavicca Dental Professionals today to find out how Dr. Gass and the rest of our team can help you.